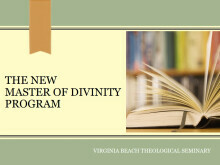 Eric J. Lehner is the Academic Dean and Professor of Theology at Virginia Beach Theological Seminary. He has taught at VBTS since 2005 in a variety of roles as Graduate Assistant, Assistant and Associate Professor of Historical Theology, and Professor of Theology. Prior to coming to Virginia Beach Theological Seminary, Dr. Lehner taught at the Hungarian Baptist Theological Seminary of Cluj, Romania, and served as assistant pastor of Providence Baptist Church in Westerville, Ohio. In addition, he has taught Bible and theology classes in Russia, the Ukraine, and southeast Asia. He has overseen the VBTS faculty as Academic Dean since 2008. Dr. Lehner’s area of specialization is Jonathan Edwards, focusing particularly on Edwards’s theological method as applied to the doctrine of assurance in his acclaimed work Religious Affections. He is currently conducting research for articles in a forthcoming encyclopedia on Edwards. Dr. Lehner is also well-versed in the field of apologetics, and his apologetics class at VBTS is a popular one. He is also a member of the Evangelical Theological Society. Dr. Lehner and his wife, Anna, have two children and reside in Chesapeake, Virginia. You can contact Dr. Lehner by email at . A Jonathan Edwards Encyclopedia. Edited by Harry S. Stout. Grand Rapids: Eerdmans, 2017. S.vv. "Religion," "Faithful Narrative," and "Melancholy." Concerning Religious Affections.” PhD diss., Baptist Bible Seminary, 2012. Theological Seminary of Virginia Beach, 2005.